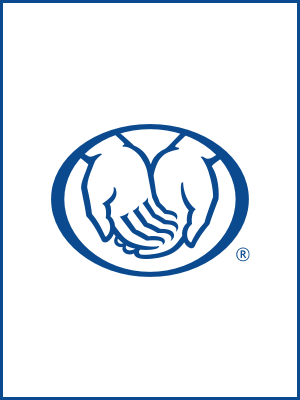 As an Allstate agency in CHARLOTTE, our knowledge and understanding of the people in this community help us provide customers with an outstanding level of service. We look forward to helping families like yours protect the things that are important – your family, your home, your car, and more. We’re committed to helping CHARLOTTE residents assess their immediate and long-term needs and choose options that will help them achieve their goals. When you want to explore options for protecting your home, personal property, or financial future, we’re available to answer your questions. If you’re already a customer, we’re ready to review your coverage so that you can make any necessary adjustments to fit your changing needs. Call, email, or visit us today. We’re proud to serve the areas of CHARLOTTE. Call or email me today for a personalized insurance review. FFG is insurance licensed in the state(s) of Alabama, Alaska, Arizona, Arkansas, California, Colorado, Connecticut, Delaware, District Of Columbia, Florida, Georgia, Guam, Hawaii, Idaho, Illinois, Indiana, Iowa, Kansas, Kentucky, Louisiana, Maine, Maryland, Massachusetts, Michigan, Minnesota, Mississippi, Missouri, Montana, Nebraska, Nevada, New Hampshire, New Jersey, New Mexico, New York, North Carolina, North Dakota, Ohio, Oklahoma, Oregon, Pennsylvania, Rhode Island, South Carolina, South Dakota, Tennessee, Texas, Utah, Vermont, Virgin Islands, Virginia, Washington, West Virginia, Wisconsin, and Wyoming. If you do not reside in the state(s) of Alabama, Alaska, Arizona, Arkansas, California, Colorado, Connecticut, Delaware, District Of Columbia, Florida, Georgia, Guam, Hawaii, Idaho, Illinois, Indiana, Iowa, Kansas, Kentucky, Louisiana, Maine, Maryland, Massachusetts, Michigan, Minnesota, Mississippi, Missouri, Montana, Nebraska, Nevada, New Hampshire, New Jersey, New Mexico, New York, North Carolina, North Dakota, Ohio, Oklahoma, Oregon, Pennsylvania, Rhode Island, South Carolina, South Dakota, Tennessee, Texas, Utah, Vermont, Virgin Islands, Virginia, Washington, West Virginia, Wisconsin, or Wyoming, please go to the Find an Agent section on allstate.com to search for another Allstate Agent or Personal Financial Representative.